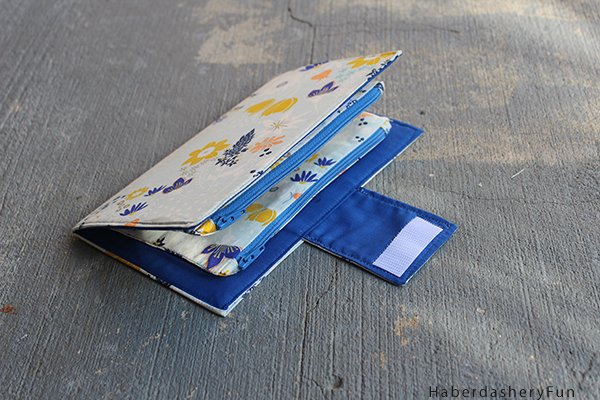 I’m happy to be sharing this tutorial over at Sew Mama Sew today. I don’t wear a lot of make-up, but I’m addicted to buying it. I recently went through my makeup bag and found over 10 shades of the same color of lipgloss. 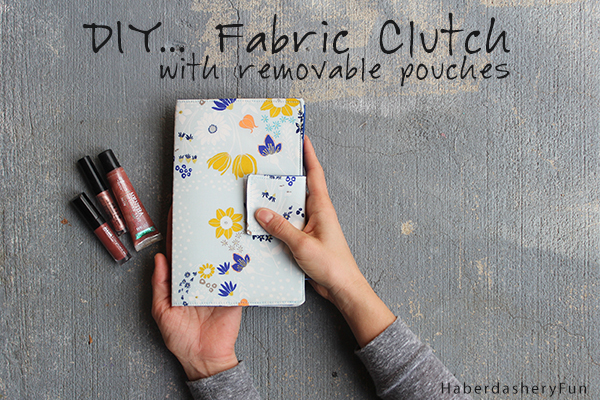 I’ve often thought I should sew a make-up pouch just to keep all my lipgloss in order. It’s gift giving season.. Why not make this for your organizationally challenged sister/friend/mother/co-worker.. Click here to see the full tutorial over at Sew Mama Sew. I promise it’s easy to sew and can be completed in an afternoon. Fabric Source – Isn’t the fabric gorgeous? I couldn’t help myself and bought quite a few yards from the collection. I had a feeling it would be great for this project. It is designed by Leah Duncan for Art Gallery Fabrics and the collection is called “Gramercy”. Check it out and see if you can figure out her inspiration.. I simply love this! I have gotten back into sewing after a few years break. My daughters are also now sewing for their families. I’m going to share this pattern with them! Thanks a bunch! Stopped by via the #WeekendBloggyReading party! This is SO cute!! I need to dust off my sewing machine and brush up on my skills, because this I just have to make! Thanks for sharing! Hi Amanda, Thank you so much! Hope you are having a great weekend. This is such a cute idea! I need a new clutch, and would love to give this a try! Girl…I am totally with you about owning the same shade of gloss over and over again! I just love this project! Thank you for swinging by Snickerdoodle Sunday!! Hope you’ll come back later this week with your latest makes & bakes! Totally cute and great tute! 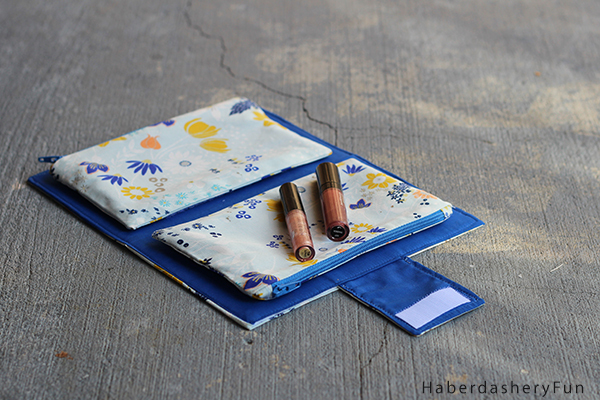 These removable pouches could be used for about anything and we have a project coming up that this would be perfect for! My makeup is all in one giant pouch right now, this would be a timesaver to help organize things a bit more. Thank you for sharing! Here via The Foley Fam’s Sunday FUNday. This is so cute! You did a wonderful job! HI Marilyn.. Thank you so much.. I appreciate your leaving a comment and letting me know. Happy New Year! These would make a fabulous gift for every woman in my life! Thanks for linkin up to Sunday FUNday! I’ll be featuring you at this weekend’s party!